What is a trip to the Amalfi Coast without a stop at its namesake town? Located on the Gulf of Salermo, the town of Amalfi is the perfect introduction to the area. With its jaw-dropping vistas and innate natural beauty, it is not surprising that the town is one of the top tourist destinations in Europe. Yet Amalfi Town’s stunning beauty is not the only thing it can offer, for it has an interesting history as well. Learn all about it in this guide. 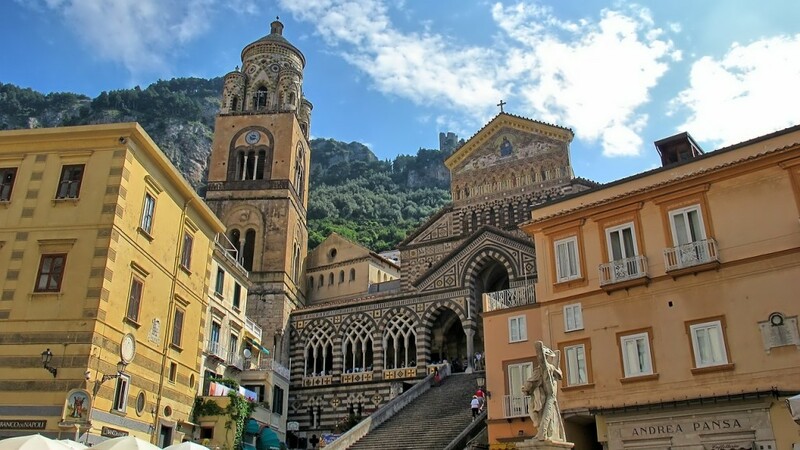 Amalfi’s history stretches back to the 6th century, when it was an important trading post with connections to Sardinia, Egypt, and Syria. As such, it became a maritime power, being the home of the Duchy of Amalfi. The town was also a center for studies in law and mathematics. It was here that the Tavole Amalfitane, the medieval code of conduct for seafarers in the Italian Mediterranean, was drafted. 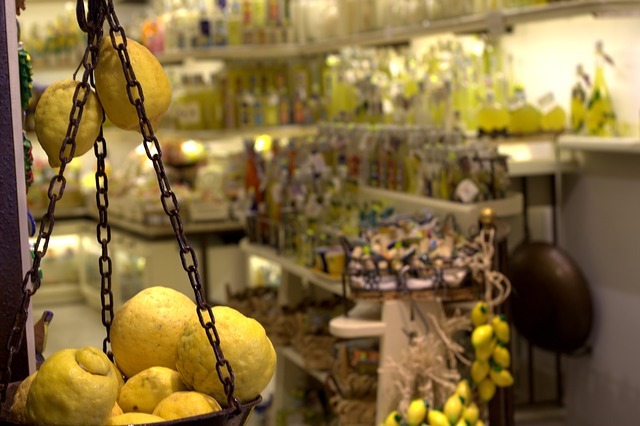 Other products that the town became known for are handmade paper or “bambagina,” and limoncello, a liquor made from the lemons grown in surrounding area. While the area’s influence declined after the 1200s, it experienced a resurgence several centuries later. This was in the 1920s, when Amalfi became a top tourist destination for British aristocrats. Owing to a combination of natural grandeur and a rich history, the town is a declared UNESCO World Heritage Site. With this distinction and its undeniable beauty, visiting Amalfi is a must! Below is a list of other attractions you should see in the town. Overlooking the main piazza, the Amalfi Cathedral not only offers a stunning view of the surrounding areas. It is a must-see attraction itself, with its Byzantine-inspired exteriors and Baroque interiors. And with its elevated location in the heart of Amalfi, it’s also hard to miss. With stunning frescoes—including four grand paintings of Saint Andrew—and a gold caisson ceiling, the cathedral will definitely wow you. Various sculptures, some made by Pietro Bernini, also decorate the church. The relics of Saint Andrew are also housed here in a golden reliquary, while the rest of his remains are in the crypt. Found next to the Duomo, this cloister was built in 1266 as the final resting place for the nobles of Amalfi. And it is a fitting tribute to the dearly departed, with its simple yet elegant architecture. Constructed under the supervision of Filippo Augustariccio, the cloister features 120 marble columns that prop up Moorish-style arches; these surround a central courtyard and garden. It also has various artifacts on display, such as sarcophagi and medieval frescoes. Whether for the dead or the living, this cloister is definitely a great place for those seeking peace and quiet. Entrance fee is EUR 3. 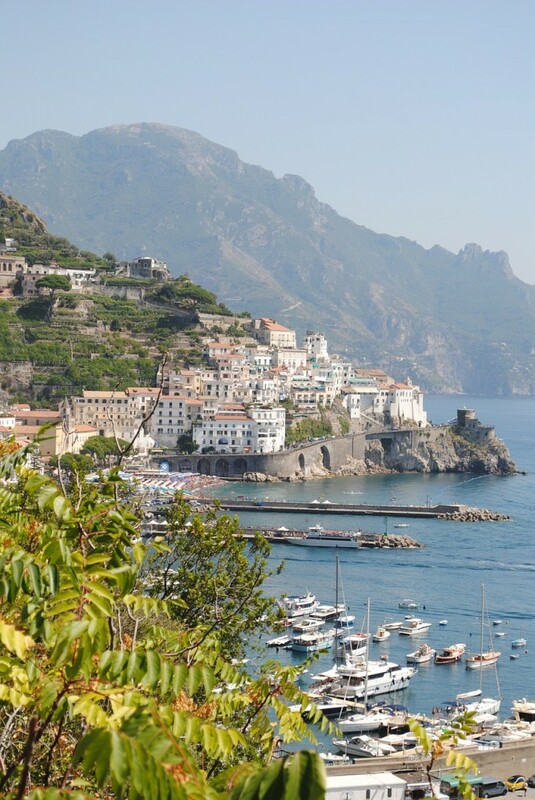 For a glimpse of Amalfi’s glorious past, head on to the Arsenalli. This medieval shipyard is the only one of its kind in Southern Italy today; it now houses a museum narrating the glorious days of Amalfi’s seafaring past. Exhibits include a centuries-old copy of the 66-chapter Tavole Amalfitane document, or the medieval laws of the sea; period clothing, banners, and even ancient compasses. On top of that, the venue is home to Amalfi the Musical, a production narrating the history of the town. Several tours of Amalfi also begin at the Arsenalli. Entrance fee is only EUR 2 per person. In the olden days, the town of Amalfi was one of the centers of paper-making in Europe. One of its chief products is the “bambagina,” a kind of handmade paper still popular among artists today. As such, a museum called the Museo della Carta has been set up to chronicle the development of the town’s paper industry. It is housed inside the oldest paper mill in Europe—a 13th century building—owned by the Milanos of Amalfi. Here, a 15-minute guided tour in English will show travelers the process of making paper the traditional way, still using the original paper presses. Entrance fee is only EUR 4 per person. Amalfi is quite larger than the other towns along the coast. Hence, if you’re planning to get around on foot, you will have to do a fair bit of walking. 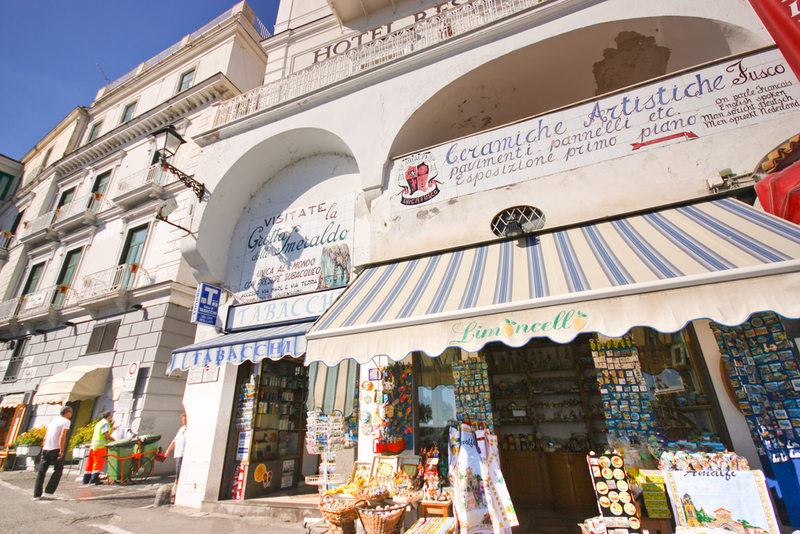 Since it is a larger town, Amalfi has a good number of establishments that cater to tourists. These include restaurants, cafes, bars, shops, and even information centers. Not fond of walking? You can book cycling tours of the area from the many tour operators and travel agencies in the town. Hiking tours are also available. As one of the most popular tourist destinations in Italy, the town and its beaches can get very crowded in the summer. If you want to avoid the crowds, opt to schedule your trip during spring or autumn. Don’t worry about the weather during those seasons—Amalfi retains its summer vibe all year round. The Emerald Grotto, or La Grotta dello Smeraldo, is just near Amalfi. So if you want to visit this fascinating cave by the sea, the town is the perfect jump-off point.